Well done MM, big win! Kept cool and well executed game plan. The others just couldn't catch up, the poor thai guy tried too hard to push MM. But failed and lost 2nd spot. mardan deserves all the success he has achieved. that is really someone we can take pride in. What a fine classy understated champion. human enough to say he has struggles too. strong enough to win courageously regardless of his challenges. A humble guy, home grown and home bred. Only an Asian title but still darn proud of you! Congratulations to MM! Well done. As usual you make Singapore proud. 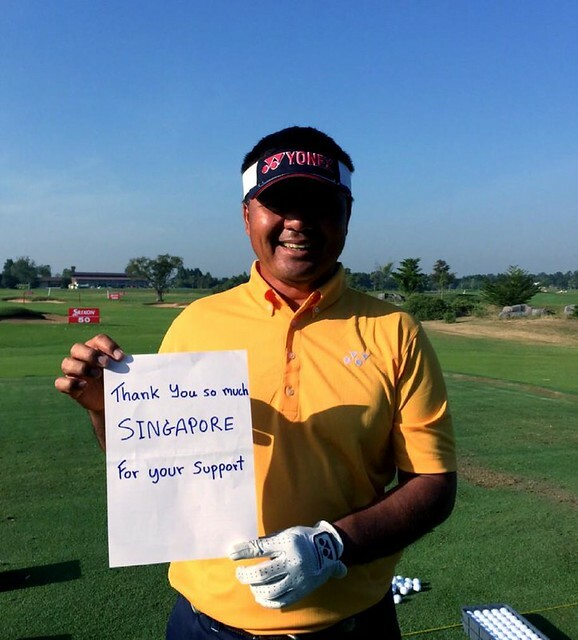 The SG golfing community is very proud and happy for you. I believe this is a major tournament Ya? Well deserved champion that Sg is proud of! to think the commentator kept hoping he will screw up and open up the tournament. Did the commentator kept hoping that he will screw up and open up the tournament? Well that is not nice for him to do that ...nobody commented that the commentator "kelong ...kelong...."
Congratulations to Mardan Mamat!! I'm so happy for him and wish that he will continue to excel in his game. Keep on swinging, winning and smiling!! Cheers!! There is a short write-up about MM's win: https://sg.sports.yahoo.com/news/mamat-marches-manila-masters-title-114345592--golf.html. Looks like it is a double-win for MM! Congrats, MM. So proud of you! His swing is effortless and smooth compare to the Thai young chap. How I wish can swing like him. This is to pay tribute to our very own Singapore's No. 1 golfer, Mardan Mamat ... He got emotional during the last part of the interview when he talked about his very supportive wife ... Good job, MM! Thanks Turbo for sharing the video. Very moving. Congrats to Mardan Mamat for a great win.